Have you ever had those thoughts before? Why do we have this internal narrative? It certainly isn’t from God. He says we are “fearfully and wonderfully made” (Psalm 139:14). It’s funny how a piece of clothing can hold so much meaning. It’s just a garment. But our society has put so much pressure on us as women to look a certain way. Something as simple as buying a pair of shorts can feel like the beginning of a revolution. When I put on shorts, I have thick thighs that rub together, and you can see the cellulite on the back of my legs but y’all I live in the south and in the summer here it feels like we live on the surface of the sun. I refuse to go through another summer worried about how my legs look in shorts because it is too dang hot here for that! I also bought tank tops because the only way to survive summer is to have as little clothing touching you as possible. And while we’re talking about it, let’s throw white jeans in the mix. I’ve worn them for years because they literally go with everything. 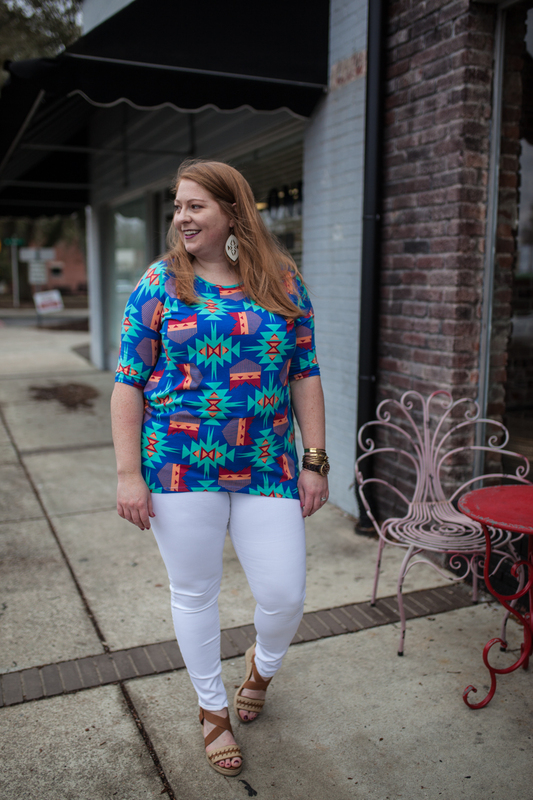 I’ve had so many women say to me, “But I can’t wear white jeans.” Um why can’t you? It’s simple – you buy a pair and put them on. “Well what if my cellulite shows through?” Well what if it does? Do you have cellulite? Yes. Do most women? Yes. So why are we trying to cover up something we all have? I have eyeballs too, but you don't see me covering them up or trying to deny their existence. It’s because society has put a negative connotation around certain body parts so that leads us to feel shame about it. Cellulite is only considered bad because society has given it that label. Look, I’m not saying it’s easy, but I’ve fought hard over the last year to reframe my thoughts around my body. I’ve mentioned it in other posts, but body image has been a struggle for me for as long as I remember. You can read about the first time someone called me fat here. So, here’s the thing – do you want to wear a bikini this summer? Then do it. Do you want to wear a tank top? Then do it. I’ve been learning a lot lately about limiting beliefs. I think it’s essential that we stop limiting our clothing choices. If we allow ourselves freedom in fashion, we will open ourselves up in other areas of our lives. We have got to stop living so small. We have to start allowing ourselves to take up space, allowing our dreams to grow. Allowing ourselves to wear what we WANT to wear. The only thing we should be asking ourselves when it comes to clothing is if we like it. If we like it then we should freaking wear it! It is more essential now than ever that we start standing up and challenging the status quo. We have important work to do. You matter, just the way you are. Join me, and together we can start living like it. So, I’m going to start my own mini-rebellion by wearing white denim, jean shorts and tank tops. My cellulite will show, and so will my back fat and you know what? So will my eyeballs. Who’s with me? Remember – you are worthy and deeply loved. Body positive blogs are inspiring, but sometimes it might not be enough. We get that! You might want something more. An expert to walk along side you in your journey towards body respect and food peace. We've got you covered. Sign up for a free "pre-consultation" to see if working with one of our registered dietitians doing faith-based nutrition counseling is right for you.